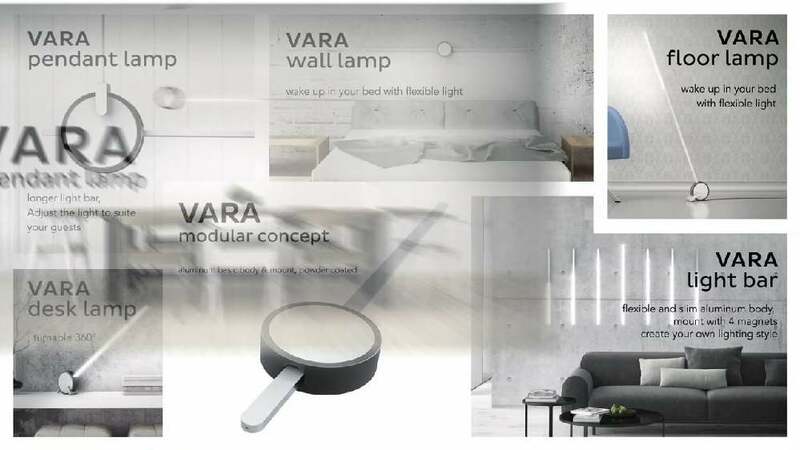 The Lamp VARA system works with a new interaction technology that means you can control every single LED via your smartphone. Designed with flexibility and individuality in mind, Lamp VARA is a plug-and play modular lighting system that can be used alone or combined in groups based on users’ needs. Its super-slim LED strip uses up to 80 percent less energy than its conventional counterparts, while its round modular base allows the lamp to take forms that vary from a floor and table lamp, to a pendant and shelf light. Manufactured to meet the highest German standards of quality and finish, these two parts also come in a variety of colour options, letting users express their individuality to the fullest with a sleek aesthetic all their own. Additionally, Lamp VARA is a system that is greater than the sum of these two parts, thanks to a bespoke app that gives users full control over their lights no matter where they are. Lights can be turned on or off via the app through Bluetooth or Wi-Fi connections, and its unique interface invites users to explore their lamps’ capacities through play by graphically representing each module like the string of a harp. With this app, the LAMP VARA system transcends its immediate functionality and becomes a multi-sensory experience that brings joy with every use.